Exclusivity, attention to detail, flexibility, individuality and exceptional service. 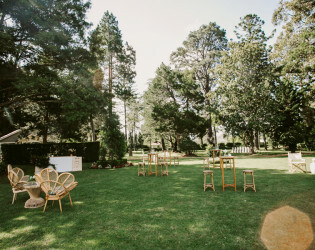 You can hold your ceremony in our Pavilion or any of our wonderful garden locations and while you take photos at any spot in our lovely gardens your guests will enjoy a fabulous garden party. 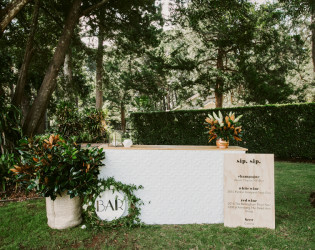 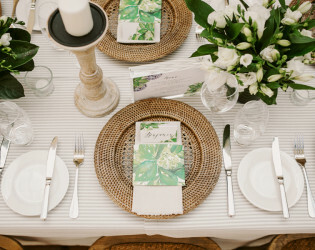 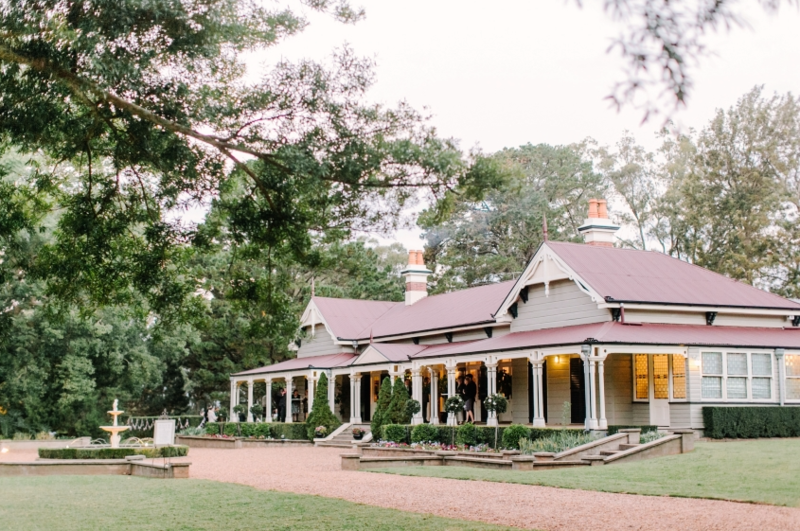 Welcome to the online home of Queensland's favourite wedding destination. 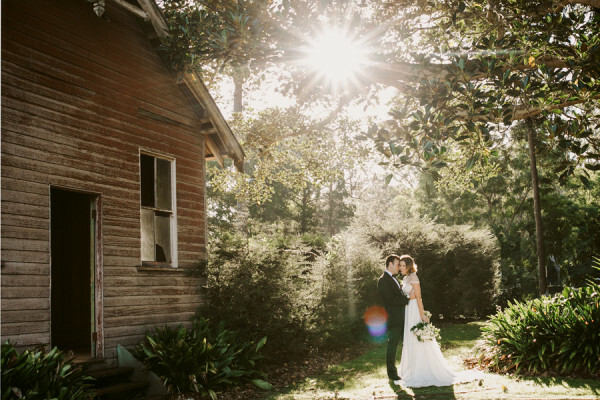 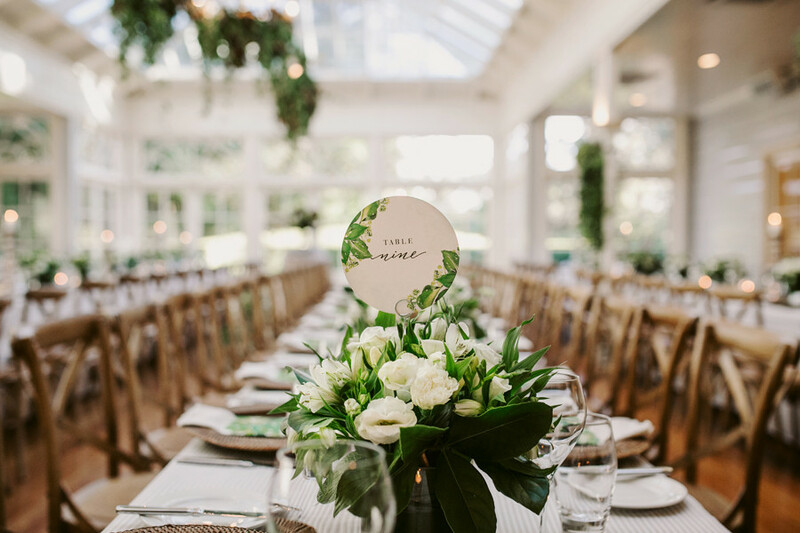 We have a lot to tell you about our beautiful venue, but before we begin let us assure you that our passion at Gabbinbar Homestead is to provide an unparalleled wedding day. 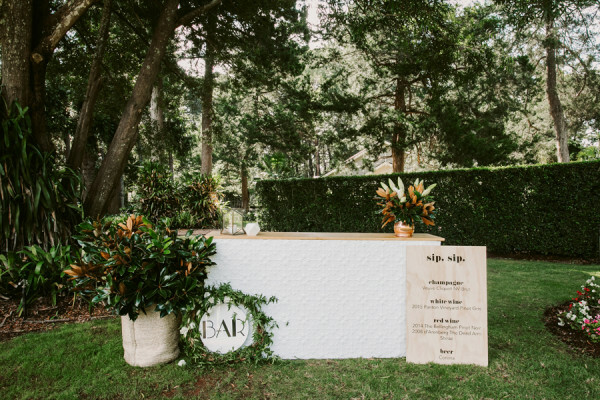 Put simply, we guarantee "The Gabbinbar Experience." 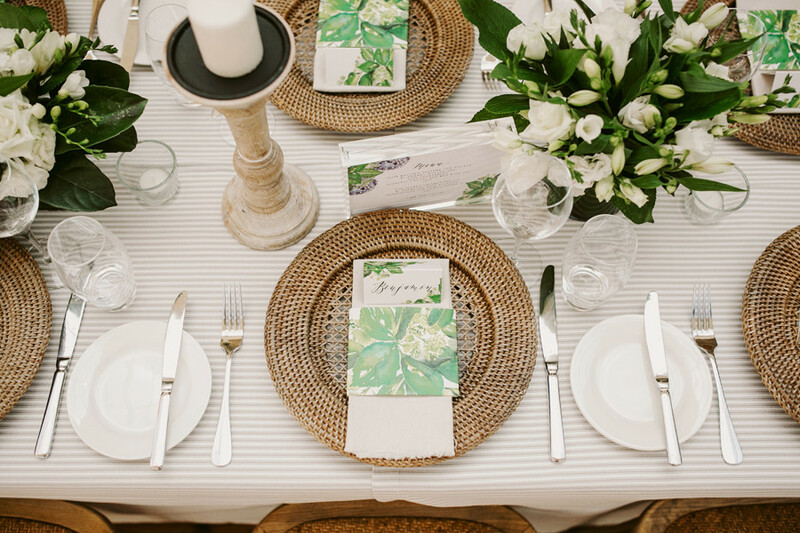 Exclusivity, attention to detail, flexibility, individuality and exceptional service. 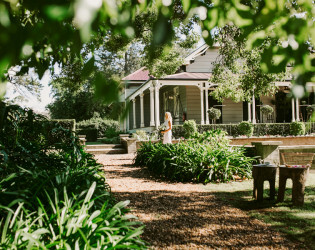 When you choose Gabbinbar Homestead for your special day our estate becomes your home. 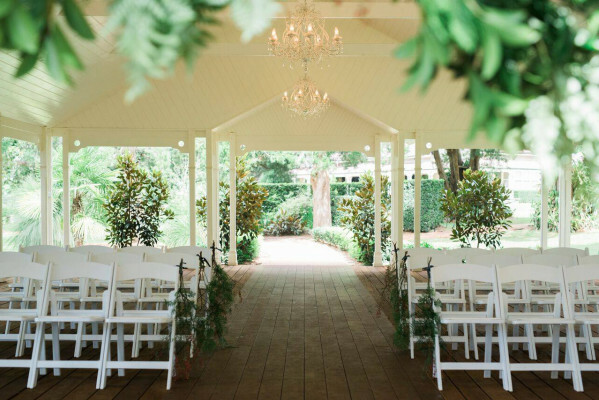 That means you and your bridesmaids can get ready in the Bride's Retreat. 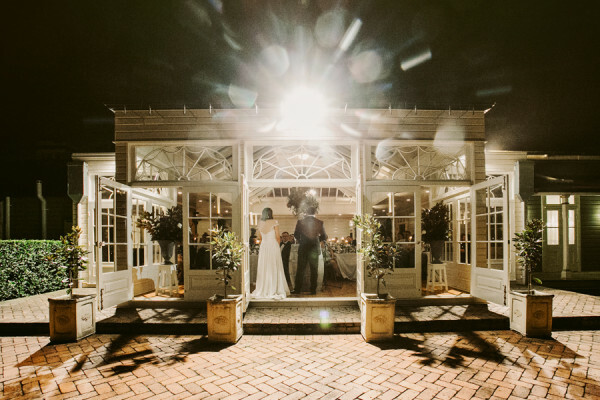 You can hold your ceremony in our Pavilion or any of our wonderful garden locations and while you take photos at any spot in our lovely gardens your guests will enjoy a fabulous garden party. 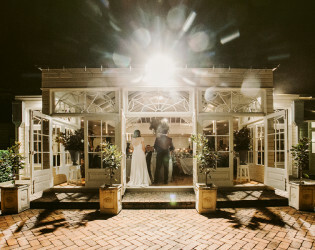 Then, as the sun sets, you and your guests can enter our spectacular Conservatory for the reception before you dance under magnificent chandeliers in the Ballroom. 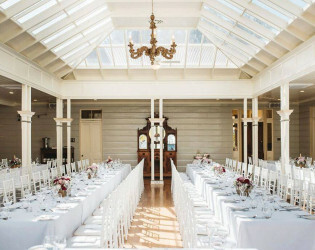 Unfortunately we do not offer accommodation on site, however there are over 2,000 rooms within 10 minutes drive. 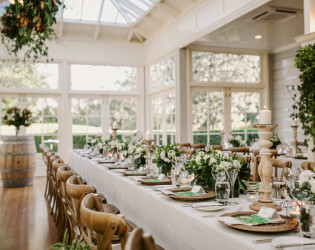 You are very welcome to contact our Wedding Planning Team for accommodation enquiries and we will be happy to assist with some recommendations and suggestions. Taxis and Ubers are readily available for pick-up and guests are welcome to leave cars overnight in our car park. 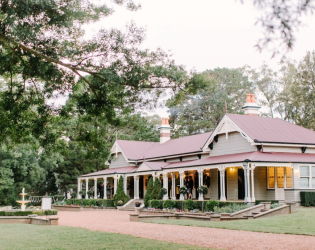 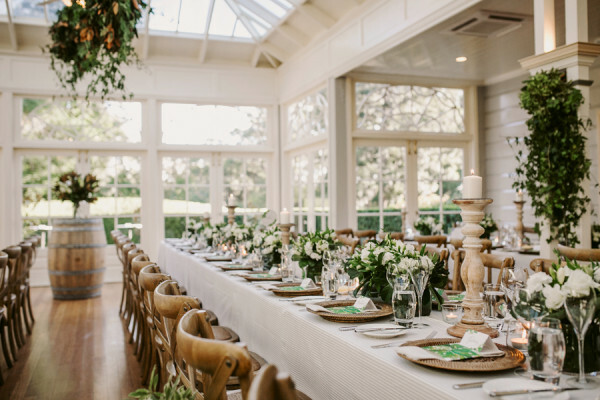 Gabbinbar Homestead is one of Australia's most beautiful venues. 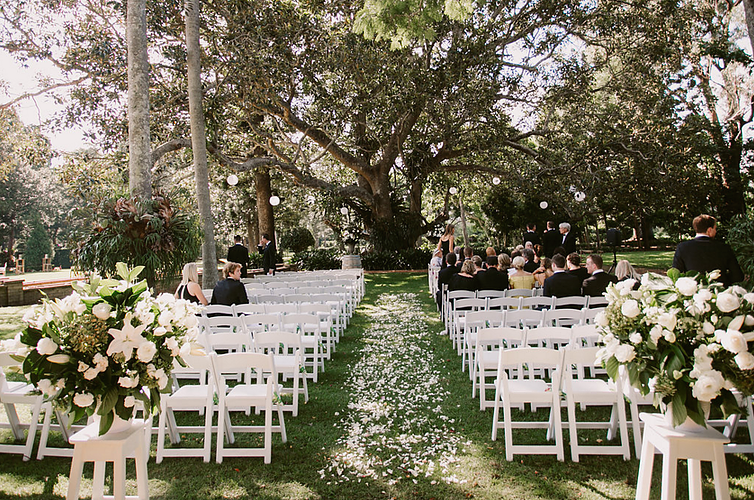 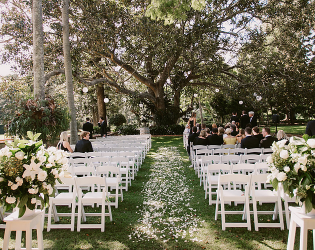 Situated perfectly underneath a 150 year old fig tree, Governor's Lawn is one of the most popular areas for ceremonies at Gabbinbar Homestead. 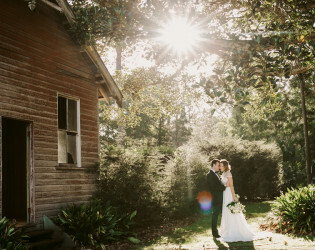 ‘Gabbinbar’ is an Aboriginal word meaning ‘peaceful place’. 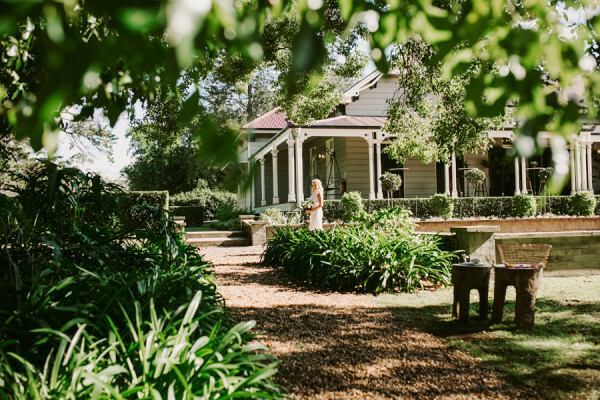 When you first arrive at Gabbinbar Homestead the Driveway opens out on to the front lawns of the estate. 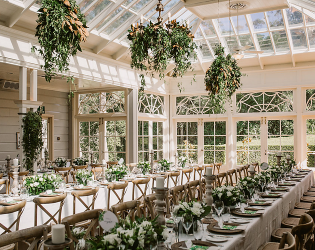 The 'Conservatory' with its spectacular glass ceiling welcomes warm sunsets at dusk and is designed to reflect candlelight at night like a mirror. 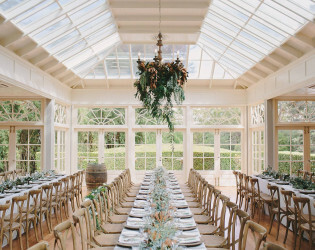 The Conservatory can cater for small and large receptions, with either banquet or round tables. 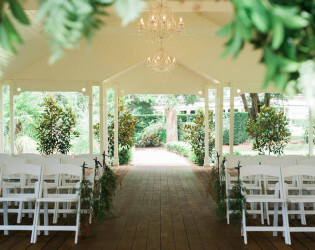 Featuring light-filled reception area is extended to bring the outdoors in. Located on 25 acres adjacent to Toowoomba’s escarpment, Gabbinbar Homestead still exudes a charm from a bygone era. There are over 2,000 different accommodation room options within a ten minute drive and our wedding planning team would be delighted to provide some suggestions for you and your guests. 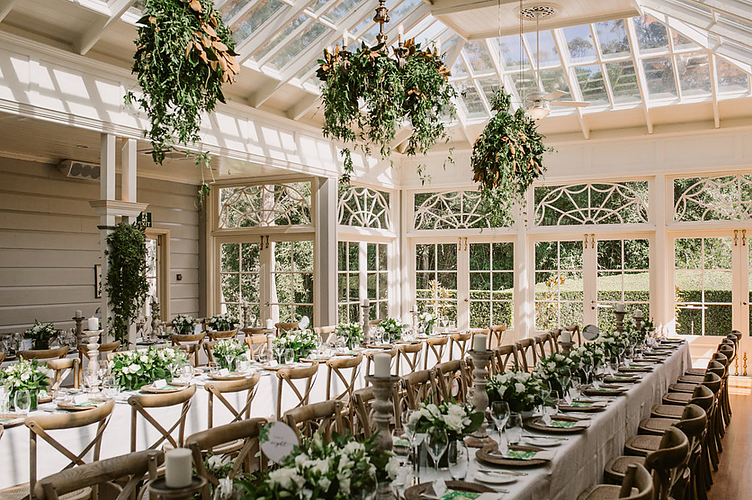 Through five sets of double French doors, the Conservatory opens out on to a delightful Southern terrace that we like to call the 'Courtyard'. 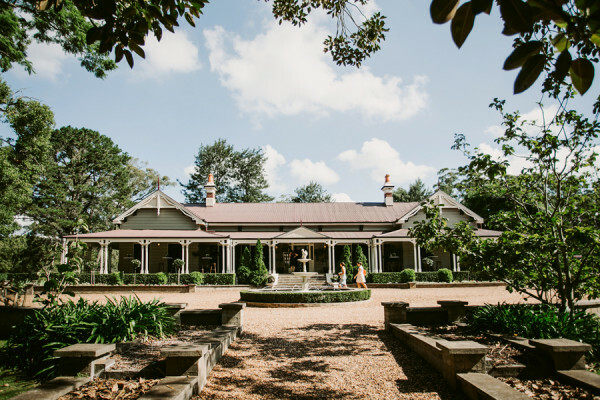 At Gabbinbar Homestead you can choose anywhere in the gardens to hold your ceremony, however, it is hard to look past this incredibly beautiful building. 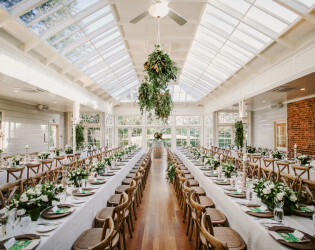 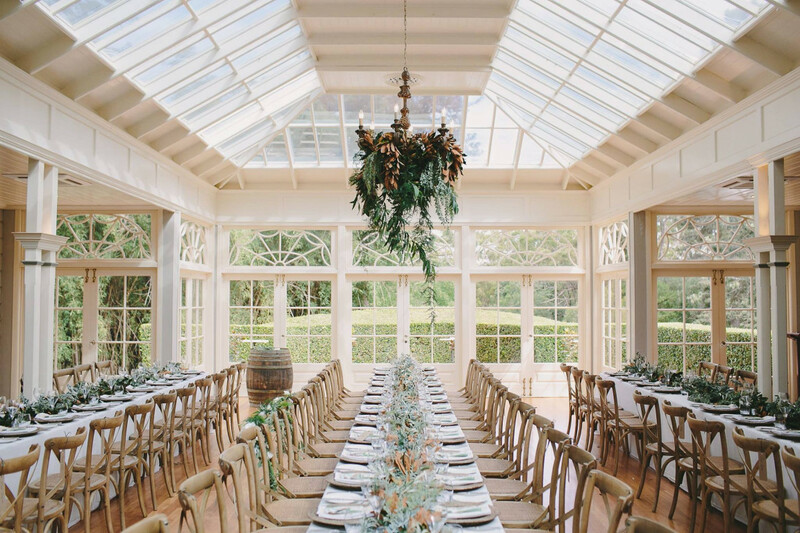 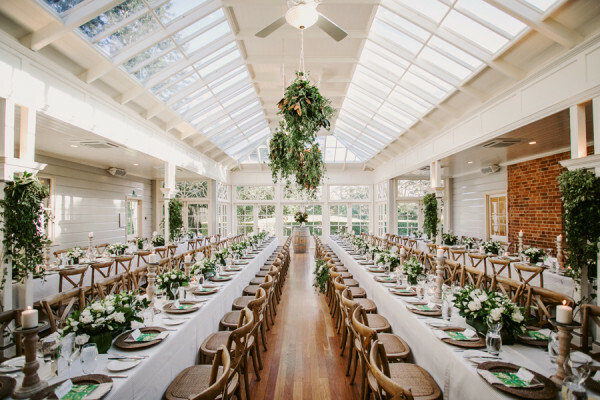 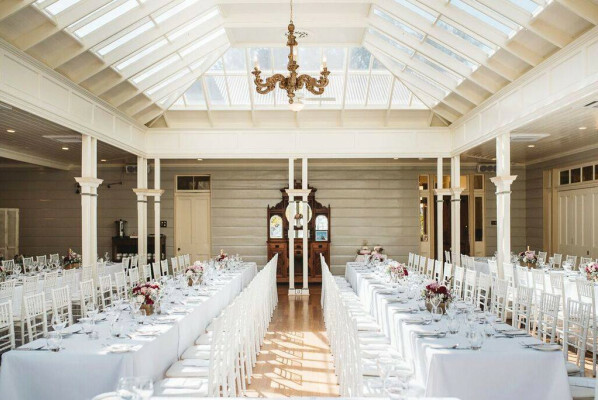 The Pavilion features a timber floor, open sides, white cathedral ceiling and stunning chandeliers. 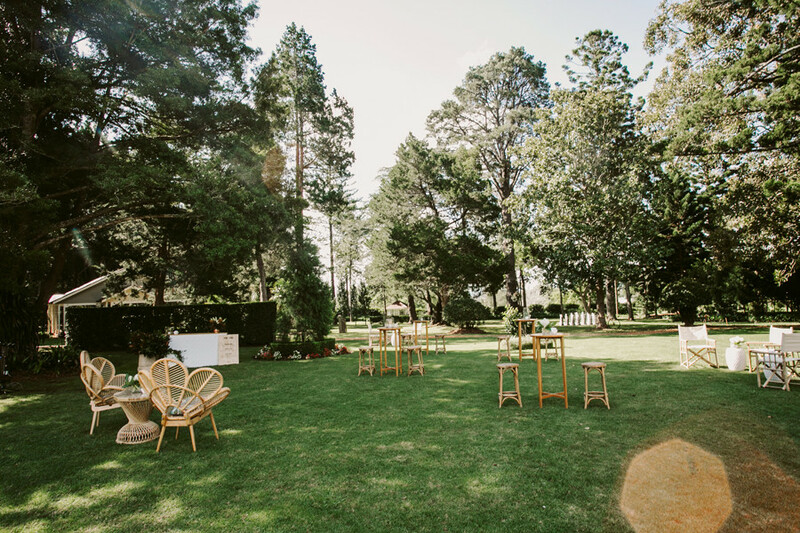 Our estate is located high on the mountain range in the garden city of Toowoomba, South-East Queensland. 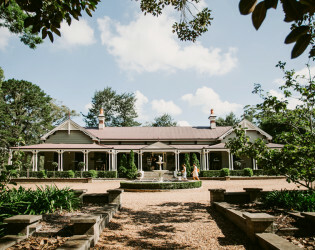 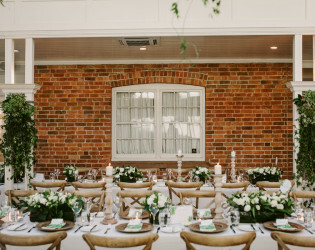 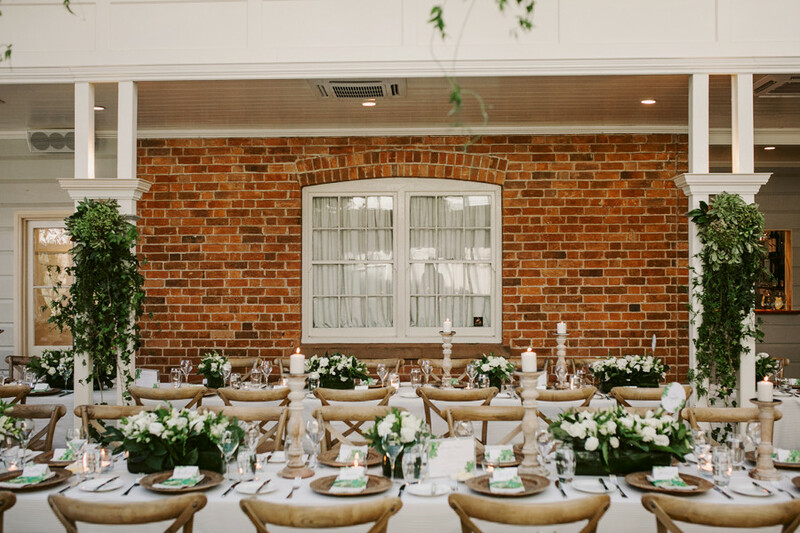 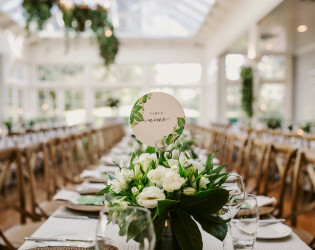 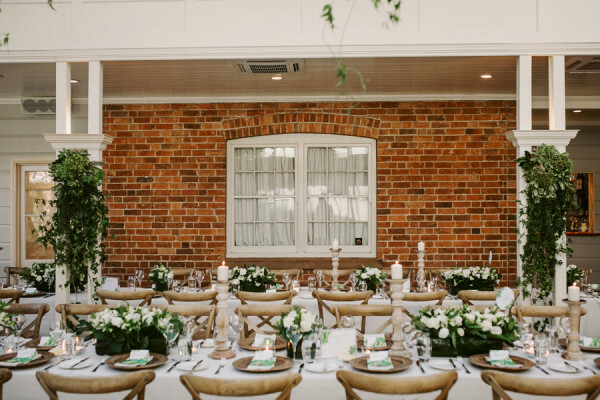 Gabbinbar Homestead is a destination wedding venue that hosts weddings from across Australia and around the world.